A wine made from Caladoc Ull de llebre and Merlot from the 11 parcels we have at Can Milà de la Roca, in Lavern. It is an elegant wine, fresh but with character; a wine to be enjoyed now, or kept to observe how well it ages. 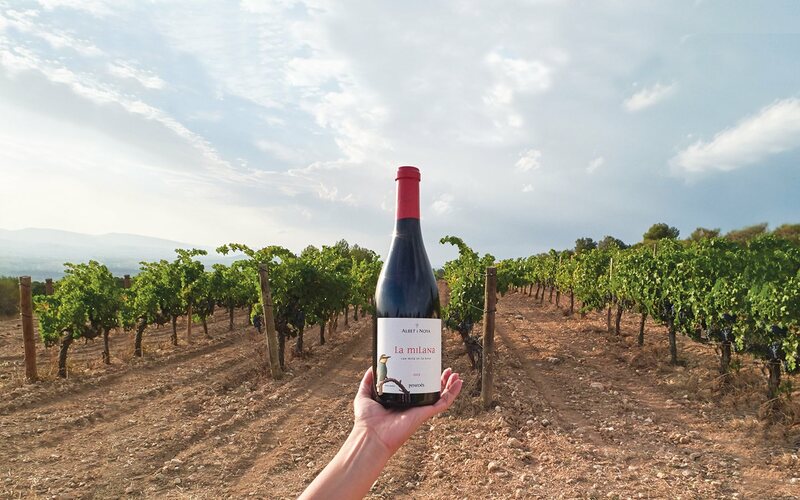 The name Milana is taken from the estate where these four varieties are grown: Mr Mila's wife, who used to farm these vineyards was popularly known as "La Milana". From the three oldest vineyards of Can Milà, one of our most expressive and aromatic wines. These old and incredibly tall bust vines produce a wine we discovered almost by accident in 2011, showcase the effect of terroir as it is rarely seen. Let yourself be enchanted by these three Macabeu vineyards! Intense, complex aroma of fresh green figs, esparagus, ripe pears, citric fruits and spring flowers. In the mouth it is fruity and refreshing thanks to its high acidity. The finish reminds us of the aromatic notes of green figs and wild herbs.